Wedged between trendy Marylebone to the north and commercial Oxford Street to the south, Wigmore Street was often seen as a through road for people not wanting to deal with the crowds London’s main shopping drag. But in recent years, it has come into its own as a destination in itself with a number of restaurants, pubs and cafes opening along this relatively quite street. 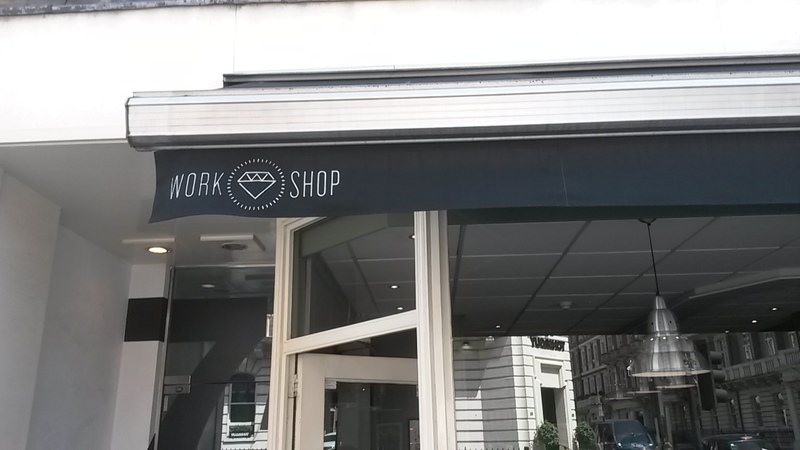 One of which is a branch of Workshop – which also has shops in Fitzrovia, Clerkenwell and Holborn – who roast their own coffee and have made a science out of coffee making. 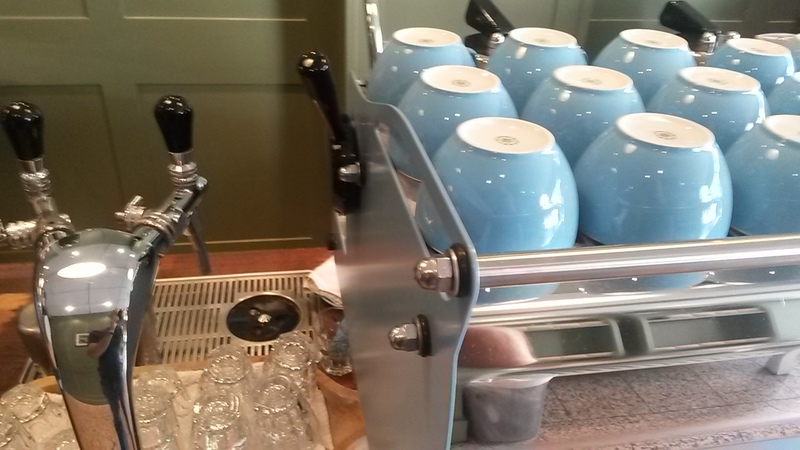 A really good coffee – a strong caffeine kick and intense flavours of berries and caramel. It was smooth and velvety and perfectly made by the baristas, who were clearly coffee geeks as it was all they talked about while I visited. However, it loses a point for the price – £3 is still not acceptable, especially something of this size. I’m not saying that we should all be getting huge, cheap coffees but it’s just that this one goes a little too far on the small and expensive scale for me. Somewhere between a living room in a stately home – with muted colours and dark, warm wooden stools and benches – and a mad scientists lab – with baristas measuring to the gram the coffee for the perfect cup. It’s small, with only 14 high seats, but that works for the cosiness. And you can grab a seat out the front in the summer days. Due to its limited size, the food options here are more limited than other cafes. The sandwiches looked good, as did the baked goods, but there just wasn’t enough choice. While the baristas were clearly well trained and perfectionists, this attention to details sometimes seemed more important than the customers. Redoing my espresso because she wasn’t 100% happy with it is fine if it’s not busy, but when you’ve already been waiting for a few minutes it can get quite frustrating. The cool sparkling water tap was pretty awesome and you can buy everything you’d need to make a perfect cup at home from coffee scales to Workshop’s own brew. 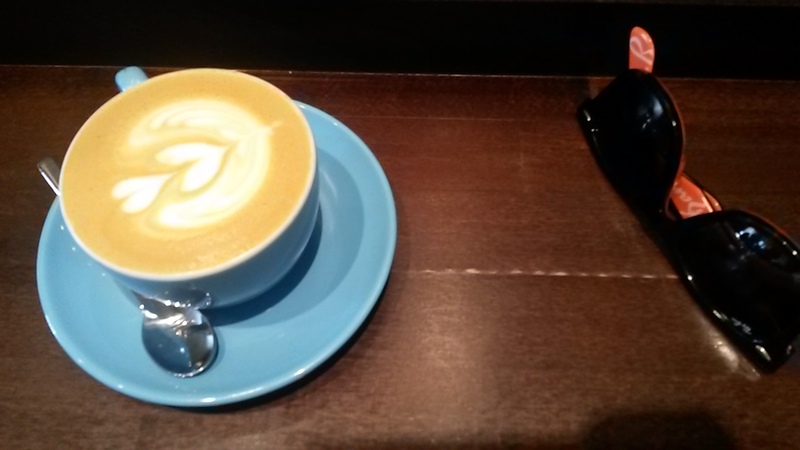 A chilled and stylish addition to Wigmore Street and serves some of the best coffee in town.